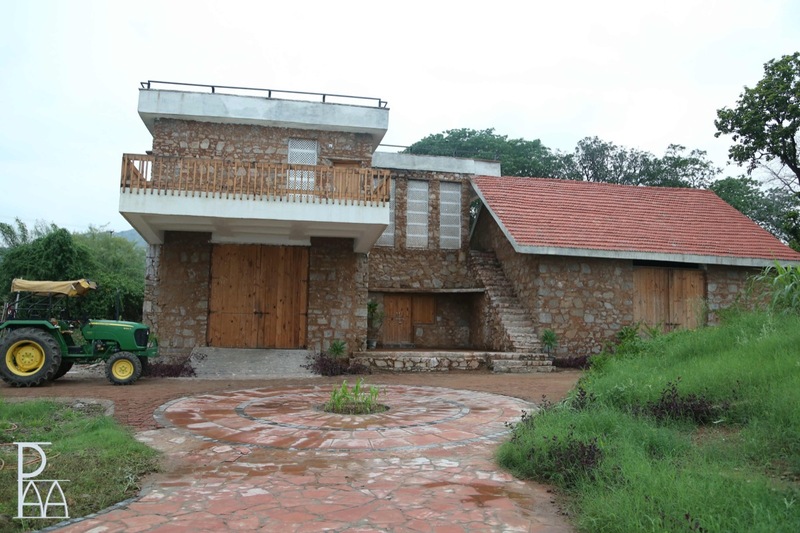 The Barn, at Udaipur, by Priyanka Arjun and Associates - ArchitectureLive! Traditional Stone with Lime mortar construction- Buildings made of stone and lime gain strength over years and can stand for centuries. Hence conventional methods of preparing lime mortar with local ingredients were employed. 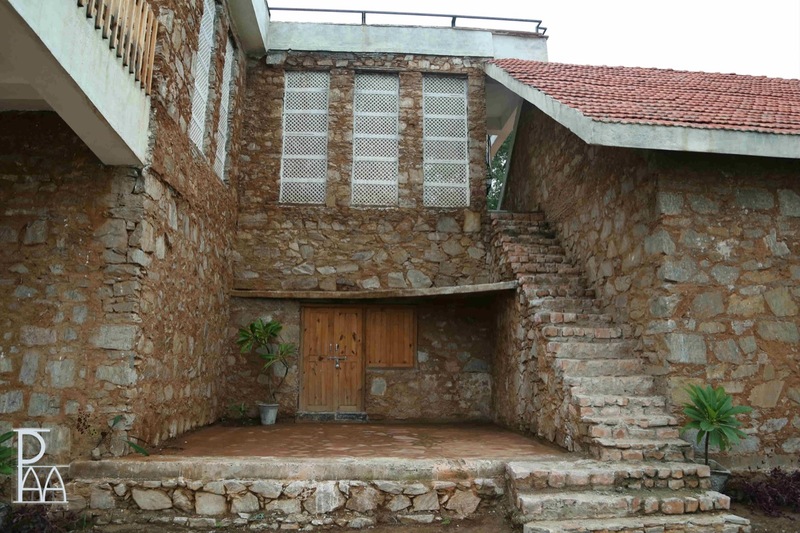 Local karigars (craftsmen) worked on the project. Barn Style Architecture- Barn building style is merged with traditional Rajasthani architecture to suit hot and dry climate. This style is chosen as the client is British national. 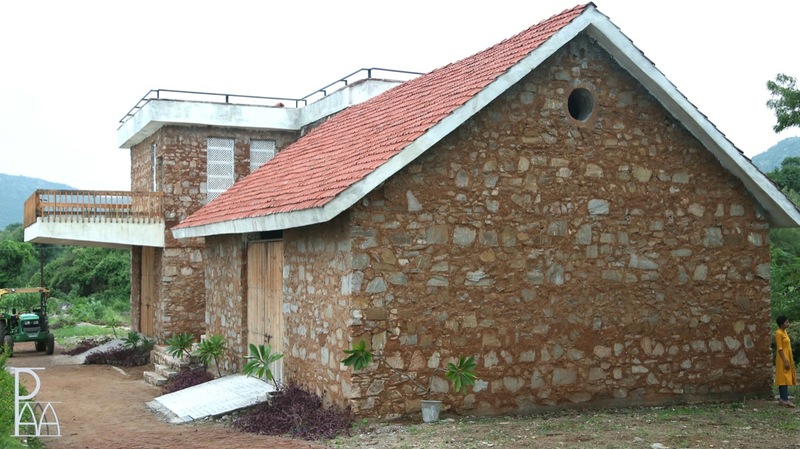 Passive cooling measures- Stone and lime buildings are 10-15 degrees cooler than outside. Windows are small and shaded. Jali/Screens filters and cools breeze in corridors by Venturi Effect. Open shaded Courtyard provides sheltered outdoor space for farmers to gather. Mango Tree Transplantation-Mango tree is transplanted from another Green Building site and becomes focal point in landscape. 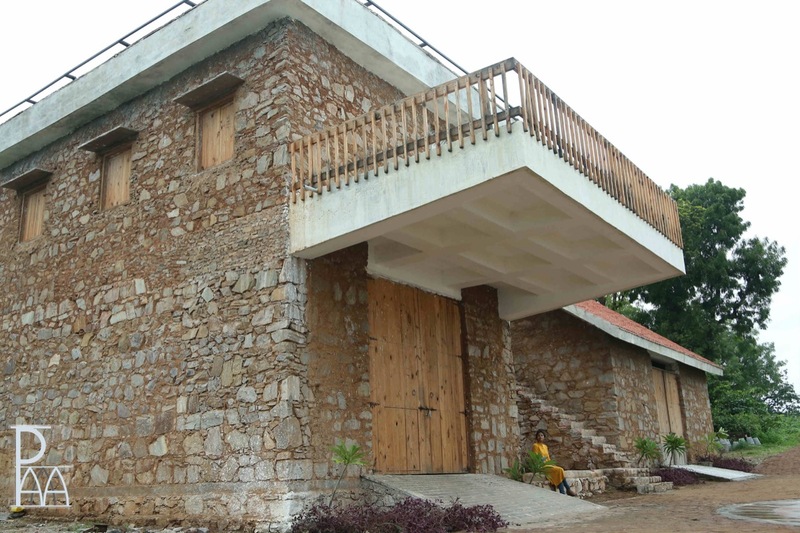 Use of Local material-Stone is used in building, flooring, tiling, coping etc. Lime mortar was prepared on site. Salvaged wood is used in railing. Most of work is done by local labour to retain character of materials used. Lime mortar is kept one inch in from stone surface. Red mud is then filled in joints. Over time green Moss will develop on it and will enhance the charm of elevation. Protection and enhancement of the surrounding environment – The building merges in natural surroundings and has no negative impact. Water drainage system- is made from building to green-houses. Rainwater flows through drains around green-houses into lowest point in site, where it percolates in ground. For seasonal river streams a gate is provided to alter course of water.